babus of india: Khemka Vs Dhillon, Roshan Lal: Will Haryana IAS war take more twists? Khemka Vs Dhillon, Roshan Lal: Will Haryana IAS war take more twists? fights among top bureaucrats through newspapers and news channels, if spread to other states and the Centre, could lead to a turbulent phase of animosity and mistrust within the administration, prompting bureaucrats going slower further in taking major decisions. In an 11-page letter dated October 21, 2013 and addressed to Haryana chief secretary, Khemka, a 1991 batch IAS, said it was not difficult to see what’s the real crime or misdemeanour for which he was being punished. “My biggest ‘crime’ of course was my cancellation of the mutation by Shri Robert Vadra’s Sky Light Hospitality to DLF Universal on15th October, 2012,” Khemka wrote. Vadra is son-in-law of Congress president Sonia Gandhi, and the state of Haryana is ruled by the same party. 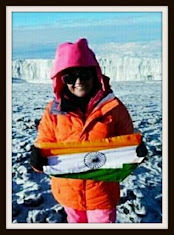 But Dhillon was appointed to the post of PS to CM after Chhattar Singh resigned to join as an UPSC Member. “It can thus be reasonably inferred that Mr. Dhillon must have acquired some “special qualifications” during this period to be adjudged suitable for appointment to the post of Principal Secretary to Chief Minister,” Khemka wrote sarcastically. 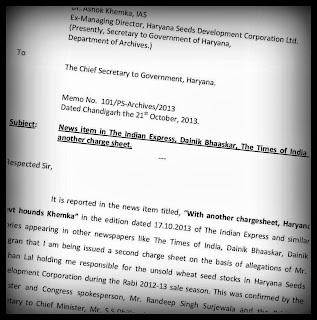 In the same letter to chief secretary, Khemka accused another IAS, Roshan Lal of indulging in corruption. “Specific references of corrupt acts of Mr. Roshan Lal were brought to the notice of your office, but unfortunately there is no action. The list of references made against specific acts of corruption and other misconducts of Mr. Roshan Lal were brought to the notice of your office and are enumerated in the Table below…”, the letter then lists out the specific charges in a table format. 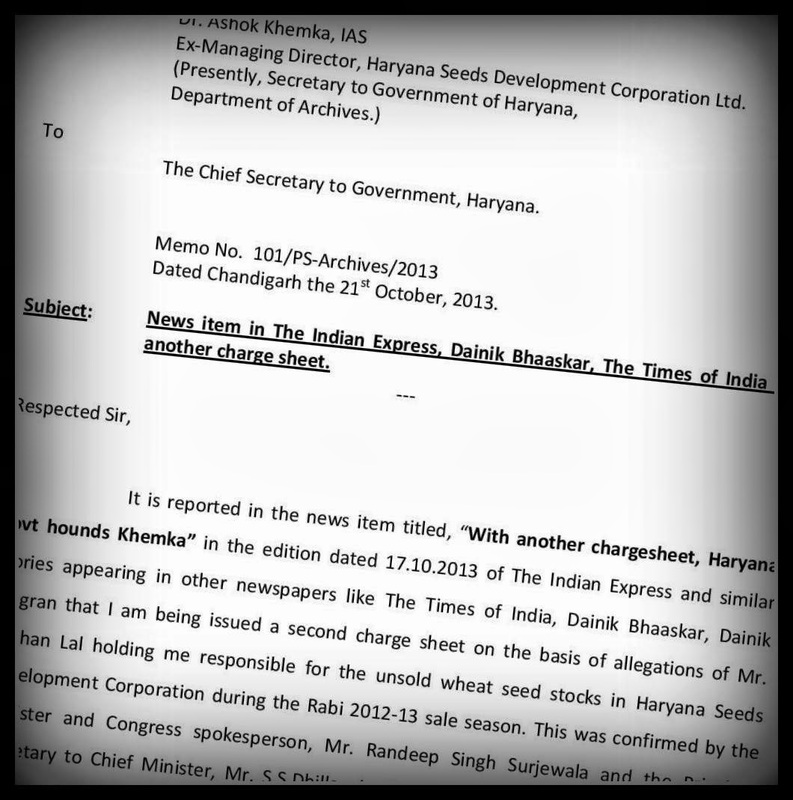 Khemka was transferred out of Haryana Seeds Development Corporation in April this year, reportedly on a complaint made by Lal. Khemka even mentioned in the letter that Lal “had illegally used Rs 54,223-worth of talk time on the Corporation’s mobile phone”. No rebuttals from Dhillon and Lal are available in public domain at the time of filing this report. In Haryana circle, Lal is also known as a singer. YouTube videos have live performances of Lal singing Rafi songs. This type of tussle is common in other states too. But, only difference is that complaints don't appear in public domain. Not via media.